who had to find his way. he did this every day. and what he asked for with his words he got. where autism sometimes got in his way. Mary Kangas is the mother of two children, Dennis and Sara, and has a great husband named Dennis who works very hard taking care of his family. 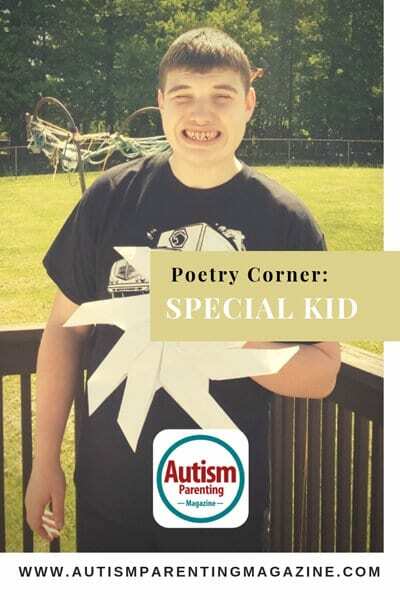 Mary is a stay-at-home mom who likes to write poems and writes a lot about autism. She says it helps to unfold it all in her words. Mary’s beautiful and smart son Dennis has autism and works incredibly hard on things. She says they are very proud of him. Their daughter, whom they are also proud of, is an honor student and helpful young lady. They feel very blessed.